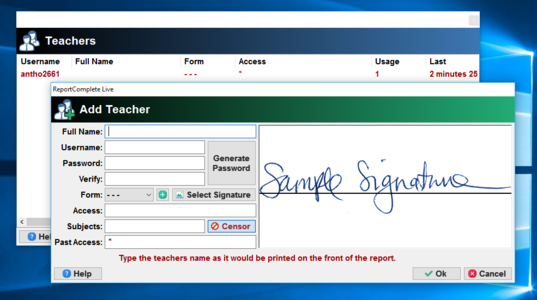 Jobshare users can share your list of pupils and write reports at the same time as you. You will need a jobshare voucher code that can be bought from reportcomplete.com. 1. 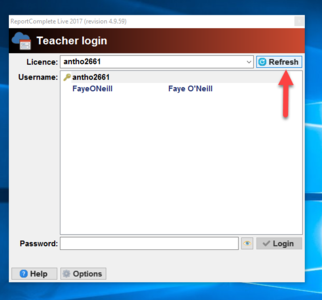 Click the Admin icon, select 'Teachers', click 'Add'. 2. 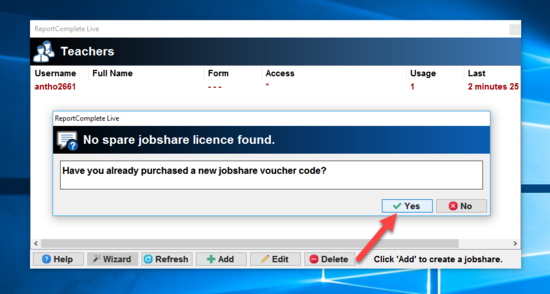 You will be asked if you already have a jobshare voucher code, click 'Yes' if you do or 'No' if you don't. 3. 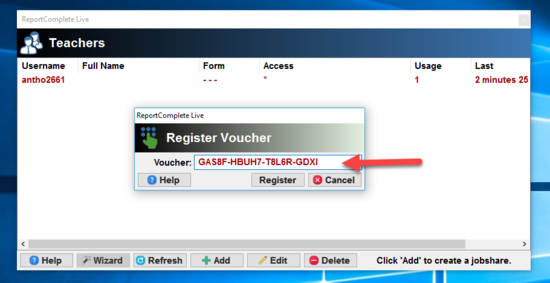 When entering a voucher code, a partial or incorrect code will be coloured red. 4. Once entered correctly the voucher code will turn green. Click 'Register'. 5. You can now enter the jobshare teacher details. 6. 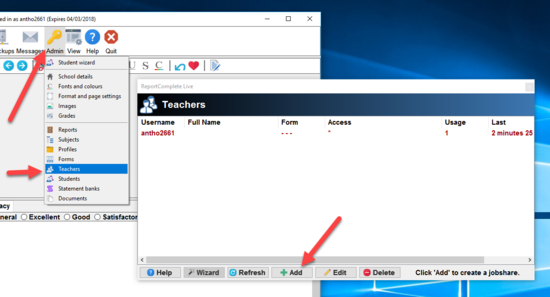 If you cancel entering the jobshare teacher details (or delete the jobshare in the future) then you will notice that ReportComplete knows you have a spare teacher that you can add without having to buy another voucher code. 7. If you entered the teacher correctly then they will show up on the list of teachers, click add if you want to enter another jobshare voucher code. 8. 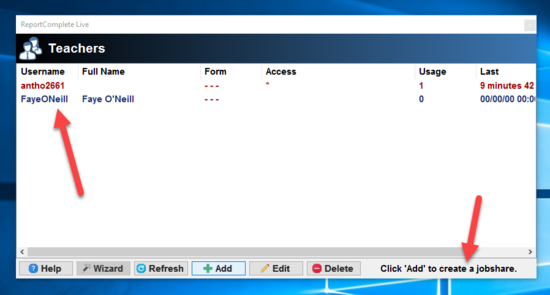 The next time you use ReportComplete you should click the 'Refresh' button to see the new list of teachers. A voucher code for a jobshare only needs to be bought once. It can be used as long as the main single user licence is valid. If you renew your main licence then the jobshare is also automatically renewed. 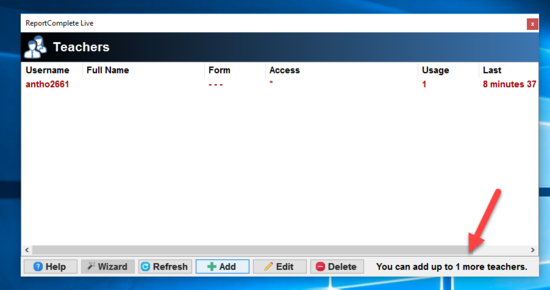 Jobshare users don't have access to the Admin menu. This page was last modified on 5 March 2017, at 00:37.